Professional mail forwarding for your business. Give your business the appearance of operating from a prestigious location, without the expensive costs of renting office space, with a mail forwarding service provided by our sister company Virtual Office MadeSimple. 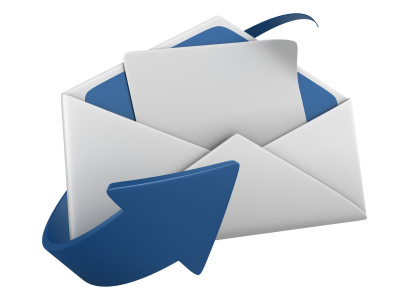 Junk mail will be automatically filtered so you only receive the pieces of mail that are essential to your business. Your mail will be processed efficiently, professionally and quickly, allowing you to concentrate on other aspects of your business. Your own central London address. Work from home and keep your address private. This price includes the first 3 months plus a £20 postage deposit. What is included with the Mail Forwarding service? Are there any charges involved? The standard Royal Mail postage costs and a 10 pence handling charge per letter will be deducted from your postage deposit. You will be notified when your deposit runs below £5 so you can top up your deposit without disruption to your services. Can you send on parcels? Parcels are not included in the price of the service. If you wish to receive parcels at our address you can sign up to our Mail Box Plus service. Can you post items overseas? Yes, we can post your mail to anywhere you request as long as it is a valid postal address. Will you send out mail that I write to my clients for me? Unfortunately we are unable to send out any business or personal mail to your clients on your behalf. Will you send my Companies House mail to me?